POREfessional is one of those products which i thought was incredibly overrated when i first tired it. I didn't think it made a difference to my pores whatsoever. But i stuck with it in the hope it would do something and after a few weeks it certainly did that. Although it didn't necessarily minimize pores, it made my skin feel like porcelain. Soft, silky and brilliant at evening out my skin tone.It gives me the perfect base. 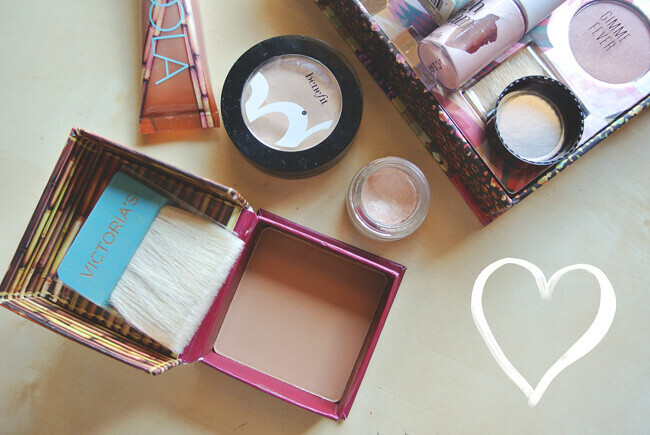 I dap a little bit of Benefit are known for their amazing blushers/bronzer and although i've tried sample size one's i've never owned a full size product until my very own personlaised Hoola came in to my life a few months ago. I'm kicking myself for not trying it sooner as it's lovely, it's very light in formula so it's perfect for those who don't like a heavy blush but it's really easy to build upon too. Hoola has been the best selling bronzer for the past 5 years! So to highlight your cheek bones and complement your bronzer you need High Beam which is a liquid highligher perfect for radiant cheeks! I use this as a brow highligher too. Finally Hoola lipgloss is a lovely natural lipgloss which adds a golden shimmer to your lips, their plush glosses are lovely but this is by far my fave! 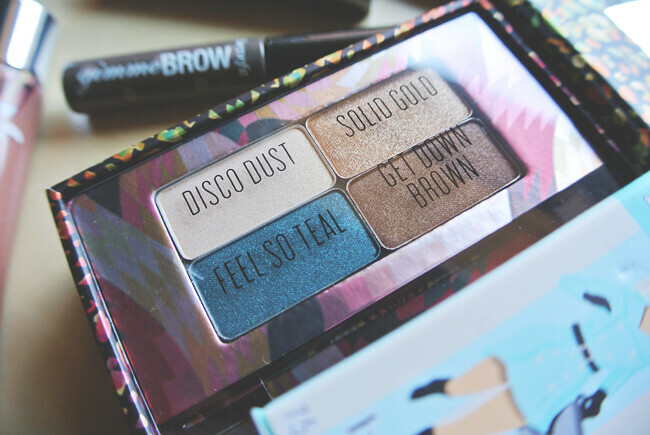 I really like to use the bikini-tini cream eyeshadow from The Bronze Of Champions box as a base, it's a neutral shade with slight shimmer, so it works really well with the shades in The Matthew Williamson: the rich is back! beauty box which are very easy to blend and give subtle colour to my lids. Both of these boxes are brilliant, in fact all of their boxes are great for first time benefit users and those who like a select amount of products. They're real! 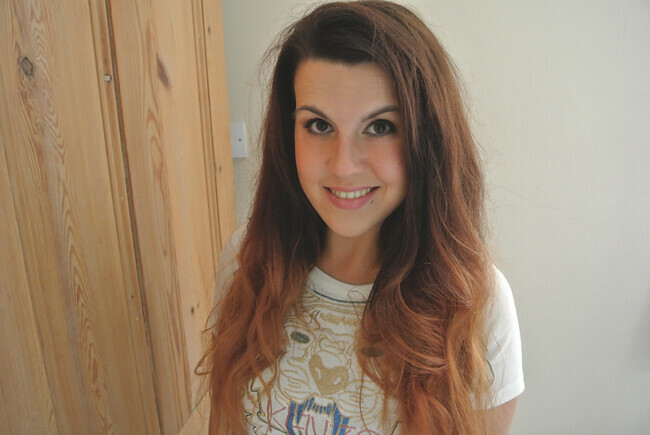 push up liner is a new product which has only just hit the shelves, but already it's had amazing reviews. I've been supporting a bit of a more natural look recently, so this liner isn't something I've used on a daily bases but the odd time i have used it it's been perfect. I'm useless at applying top liner so this is a must have if you struggle like me, it glides on very easily and doesn't move an inch. In fact i suggest you get your paws on the remover available too because this liner is staying put. I can honestly see this being a best seller like the They're real! mascara which is award winning and by far the best mascara I've ever used. I love the fact it separates lashes and lengthens without making it all clumpy! Every girl needs this in their life! Another fairly recent product is Gimmie Brow which is a brush on fiber gel aimed at creating big brushy brows which are still incredibly in at the moment. I have used this every day since it came in to my life and it's wonderful. I like to think i have fairly good brows anyway, but it certainly adds a bit more depth to them and keeps them looking neat and tidy. I don't find i need to fill them in after applying the gel either! 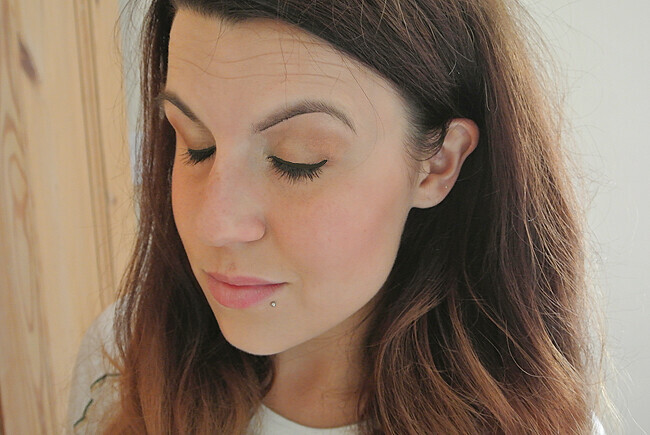 I'm a big fan of Benefit, they're a lovely brand to work with too! I honestly recommend all the products I've mentioned above and i promise you won't be disappointed! I'd love to hear which Benefit Cosmetics products are your favourites! 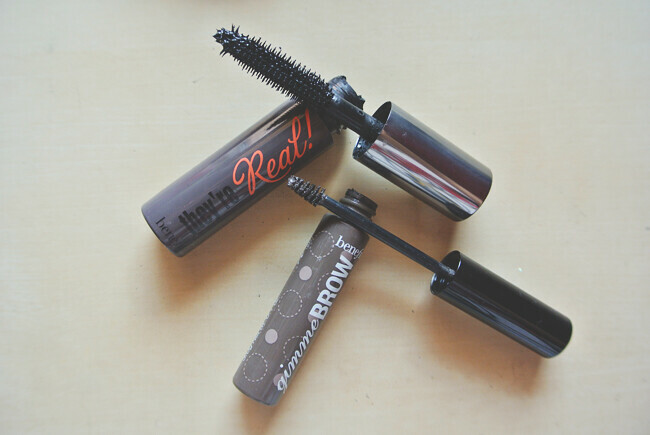 I use the They're real mascara and it is the best I have ever used. You look lovely. You look great! I really want to try the high beam and the benetint. I love the 'that gal' highlighter and also the they're real mascara, but Hoola is way too orange on my pale skin. SO much love for Benefit, I'm gradually collection their box blushes and lvoe having them all lined up. Absolutely love Benefit! I have the Hoola and Brow Zings, my next point of call is definitely their mascara! You look great, I love benefit as well! Your look is so natural and fresh i totally agree!! 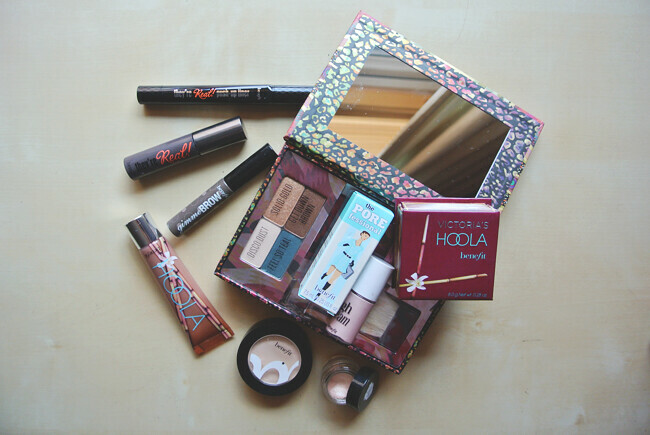 I LOVE Benefit, there products always look amazing and go on so well. My favourites are High Beam, Coralista and They're Real mascara! I am in love with pineapples at the minute, think i need to invest in these shoes. Also your tan is amazing! Benefit is amazing, I love it so much. Highbeam and They're real! mascara is absolutely fantastic. Ah damn I so wish this range was still available in SA. So many goodies! !